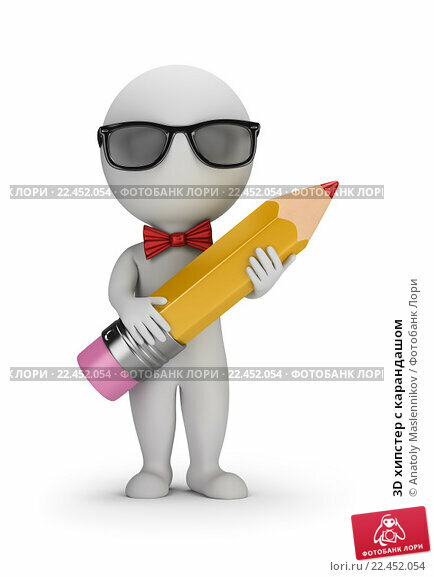 3D Hipster - Pencil. 3d image. White background.